I’ve never been so close to puffins in the wild. 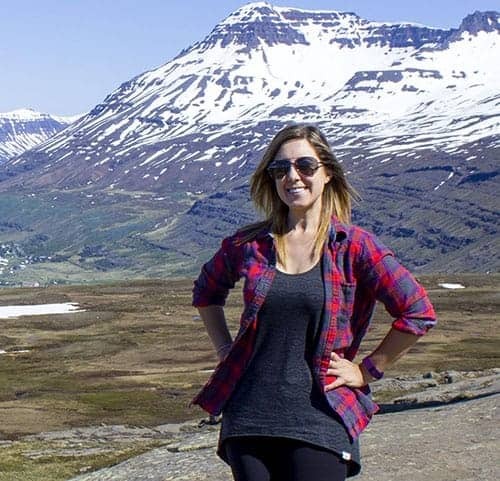 Many people skip the Westfjords when they travel to Iceland. It’s away from the well travelled path of the Ring Road, and it’s a bit of a jaunt. Even with a limited amount of time in Iceland, I recommend that you make your way to the Westfjords. 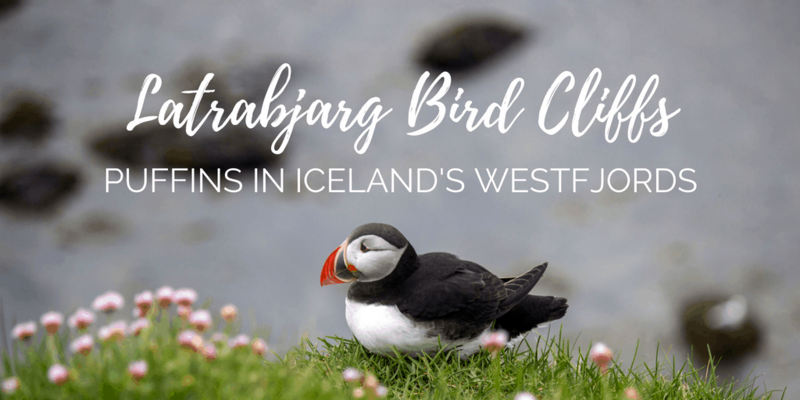 Driving in the Westfjords and ultimately discovering the Latrabjarg bird cliffs was one of the highlights of our two week trip to Iceland. 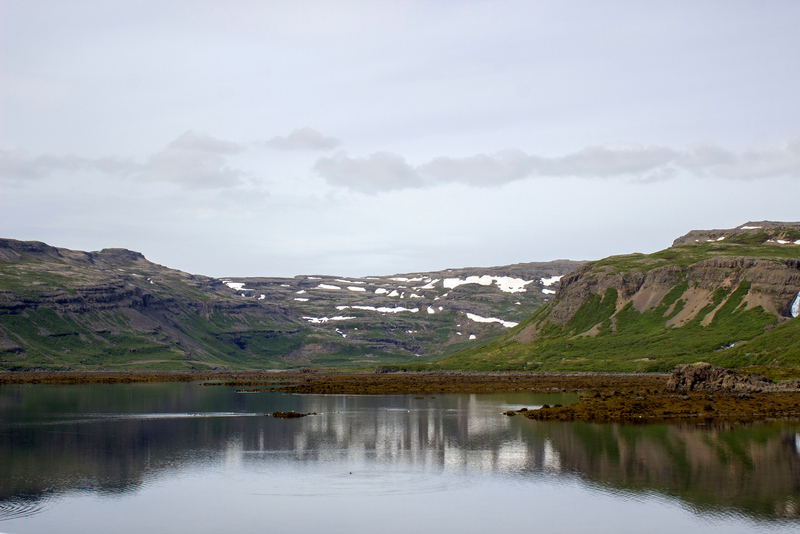 The Westfjords are arguably more rugged than many other regions of Iceland. It’s a remote region, less people live there, and the roads are less travelled. 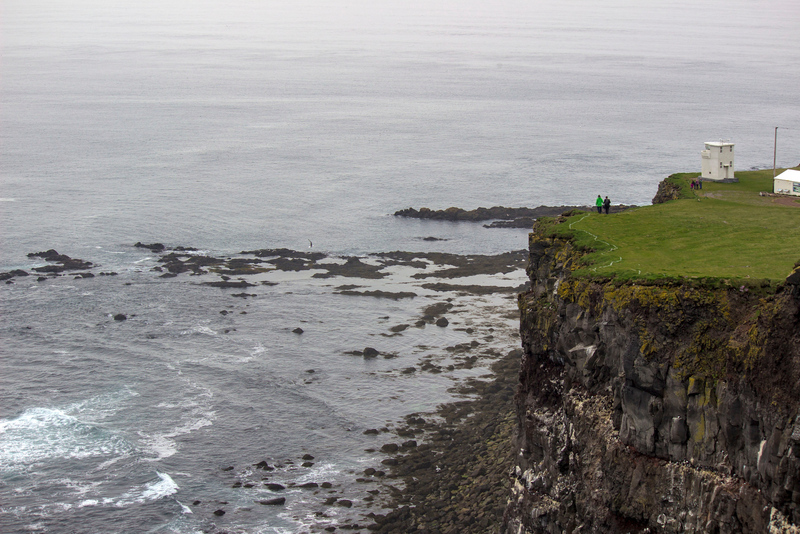 One of the most visited areas of the Westfjords are the Latrabjard bird cliffs. 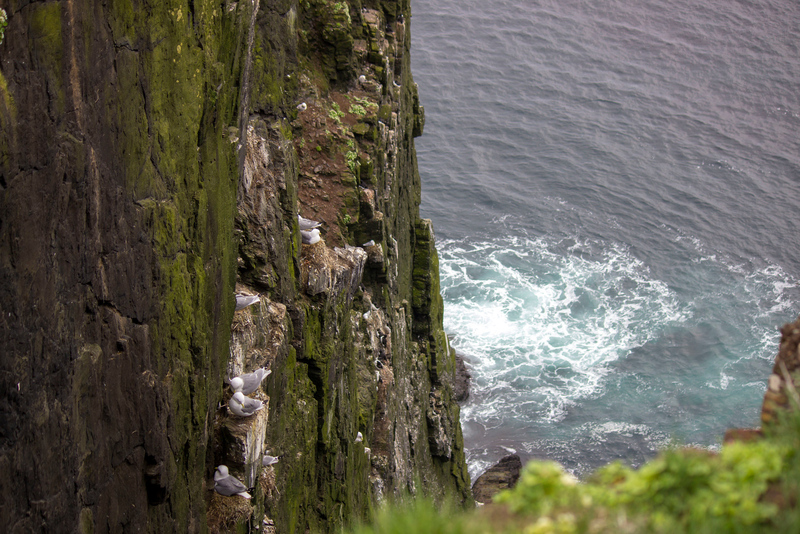 It’s the westernmost point of the country and its steep cliffs are the largest bird nesting site in Europe. There are millions of birds that live there, nestled into the massive, craggy rocks. The day before making the journey to the Westfjords, Justin and I spent the day in Hvammstangi, the seal capital of Iceland. 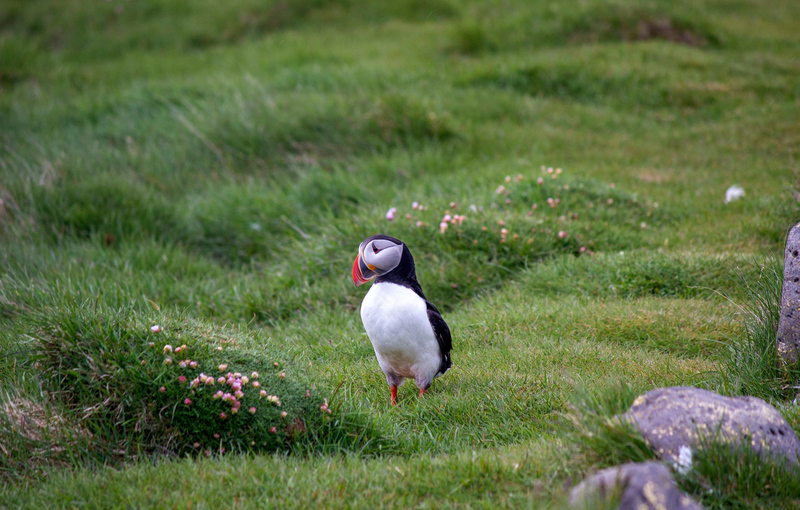 Next, we were off to the puffin capital of Iceland, Latrabjarg. Leaving from Hvammstangi, we embarked on an seven to eight hour drive along steep, winding roads. Thankfully, most of the roads were paved (until we approached the cliffs themselves, where the roads turned into gravel paths) and our weather conditions for the day were fabulous. I could easily see that in rain, snow, or ice, these roads could become quite treacherous. For most of the drive, we didn’t encounter any other cars. We didn’t see any other people when we stopped at the side of the road, whether it was to take photos or for Justin to fly the drone around. 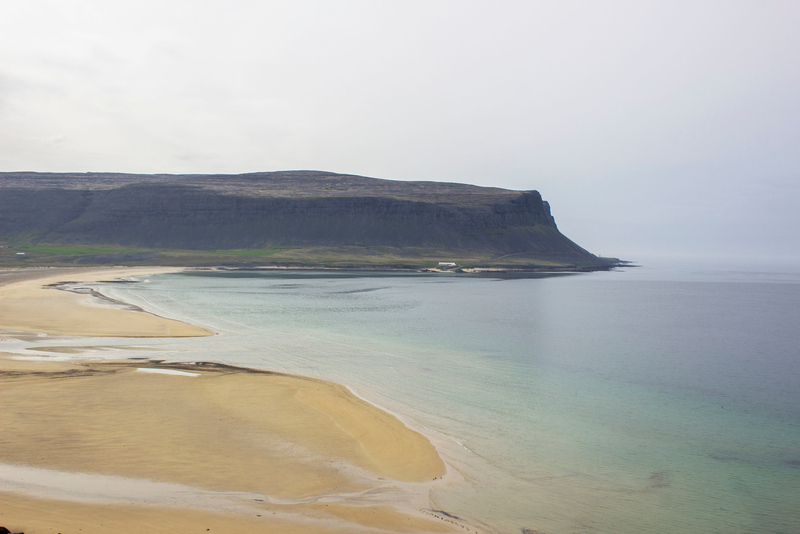 The scenery of the Westfjords is stunning and awe-inspiring. Even though it’s a lengthy trip to Latrabjarg, you’re surrounded by gorgeous panoramic views the entire way. We saw beautiful valleys, snowy lands, pale sand beaches, and even an old ship resting on the shore. Make sure you fill up your gas tank whenever you can. Gas stations are few and far between in remote areas of Iceland, especially the Westfjords. We almost had a situation where we ran out of gas in southeast Iceland, and we weren’t about to let that nearly happen again. Fill up your tank in Flókalundur as that’s the last gas station between Flókalundur and Latrabjarg. Keep on driving until you can’t drive anymore. By the time we reached Latrajbarg, it was about 7:30pm. Thankfully, in June, the sun doesn’t really go down in Iceland. It stays bright out until very late, and even then, it doesn’t ever get dark. 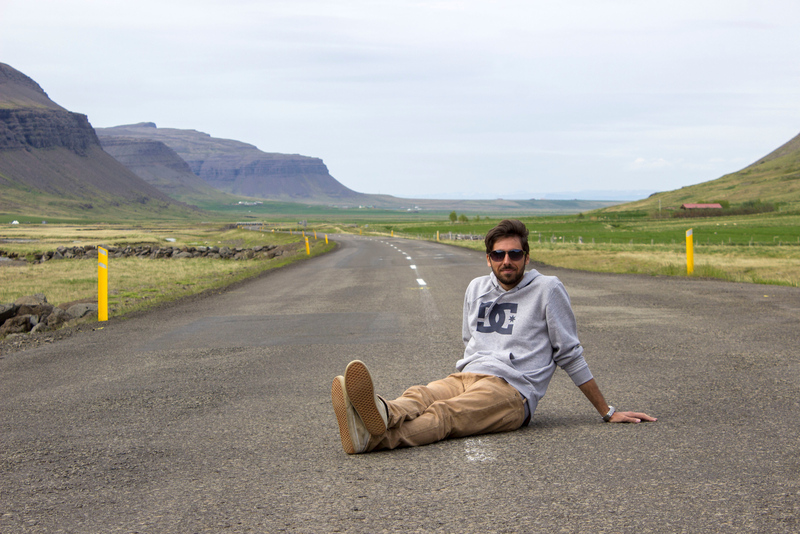 When Justin and I pulled into the small parking lot at Latrabjarg, there weren’t many other people around. We saw a few random hikers and bird admirers with cameras, like ourselves. The first and only structure you’ll notice is the Bjargtangar lighthouse. 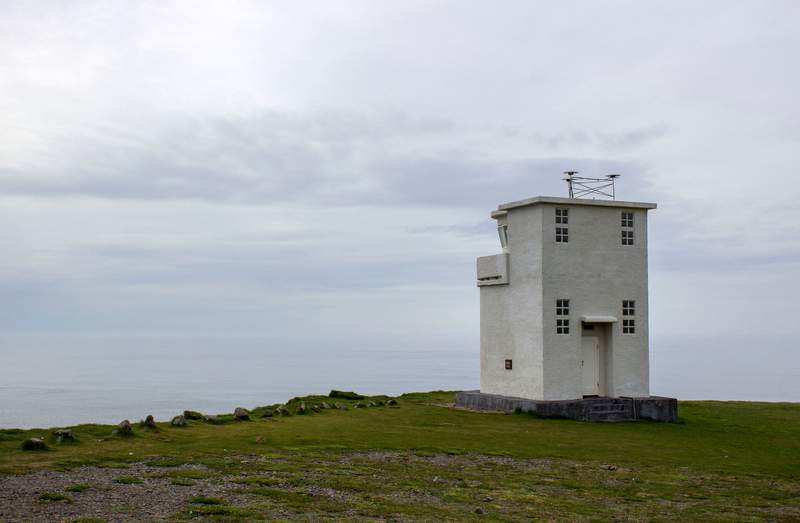 The lighthouse marks the westernmost point of Iceland, and it’s also the westernmost building in Europe. While the light station was established in 1913, this white, concrete building was built in 1948. 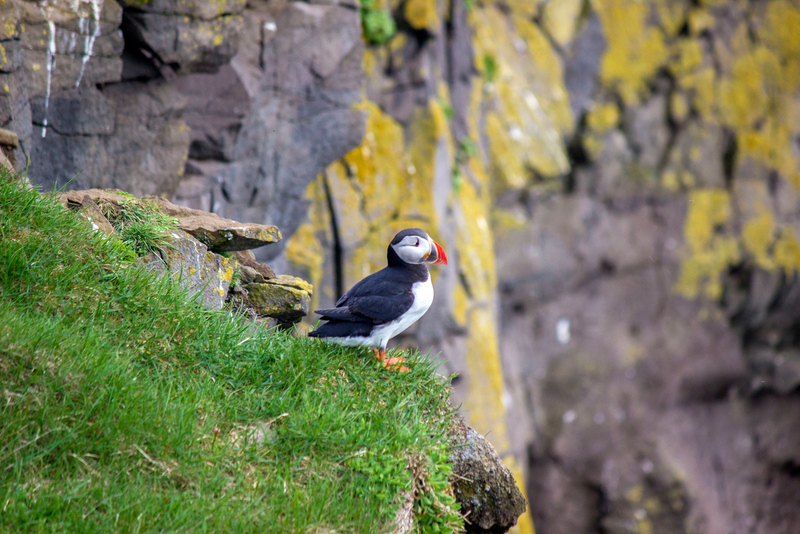 Looking to see puffins? You’re guaranteed to see them here! In Latrabjarg, I saw the most puffins I’ve ever seen in my life. It’s also the closest I’ve ever been to puffins. 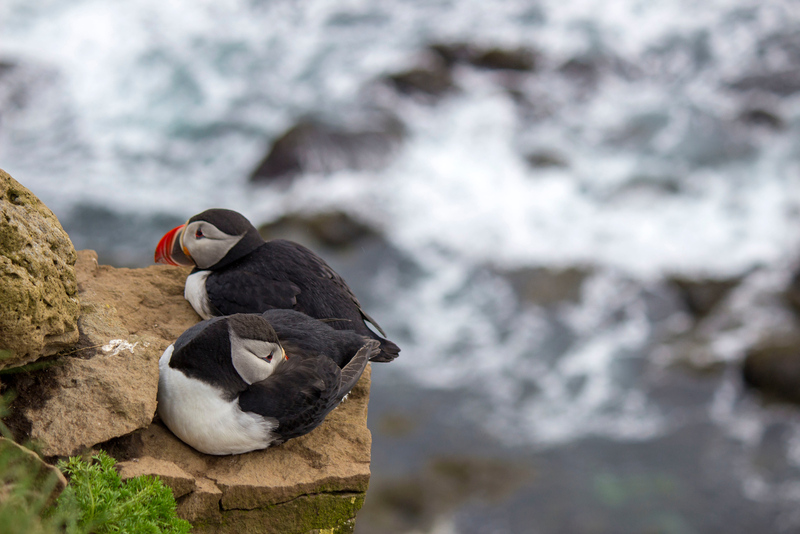 Atlantic puffins nest at these cliffs between mid-May and September, and there are up to 10 million of them in Iceland. 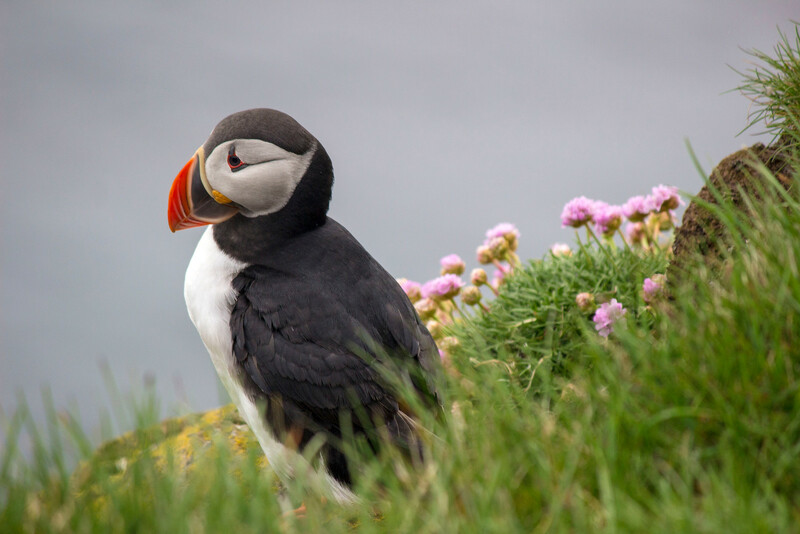 You can also view puffins at the Westman Islands and near Puffin Island in Husavik. Obviously, don’t try to touch the birds or make any sudden movements to scare them. Be a responsible traveller. Don’t disturb or disrupt the wildlife, especially since we are guests in their territory. Furthermore, these cliffs are fragile. Don’t get too close to the edge as the rocks can easily break away and you could fall. 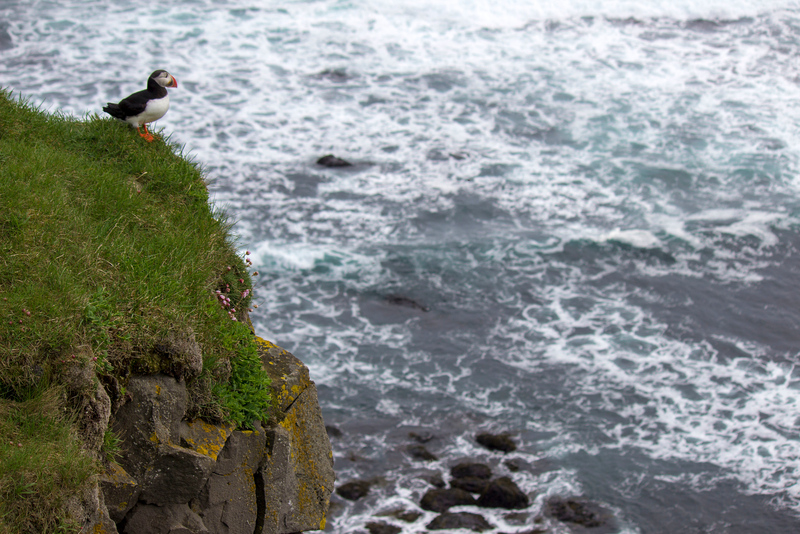 As we approached the edge of the cliff, I looked down and saw a puffin sitting right there. He (or she!) was sitting right in front of me, and not even batting an eye. The puffins here are extremely tame and gentle. 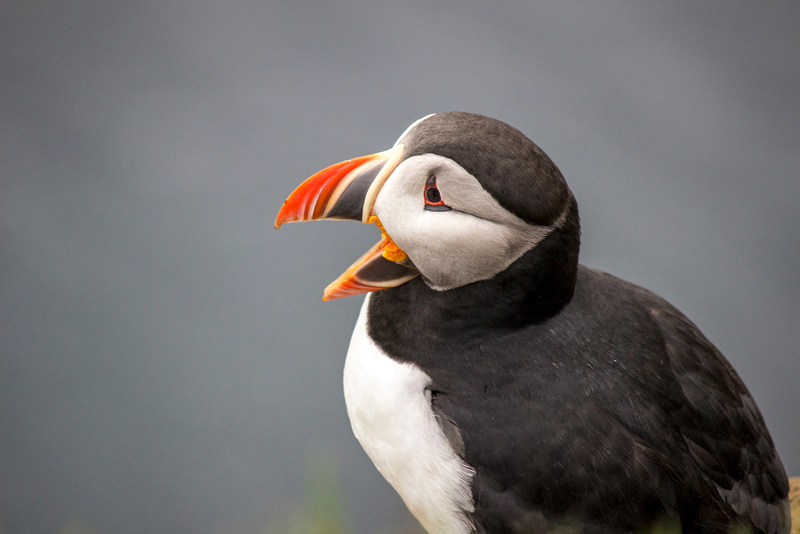 Without further ado, here are all of our cute puffin pictures. 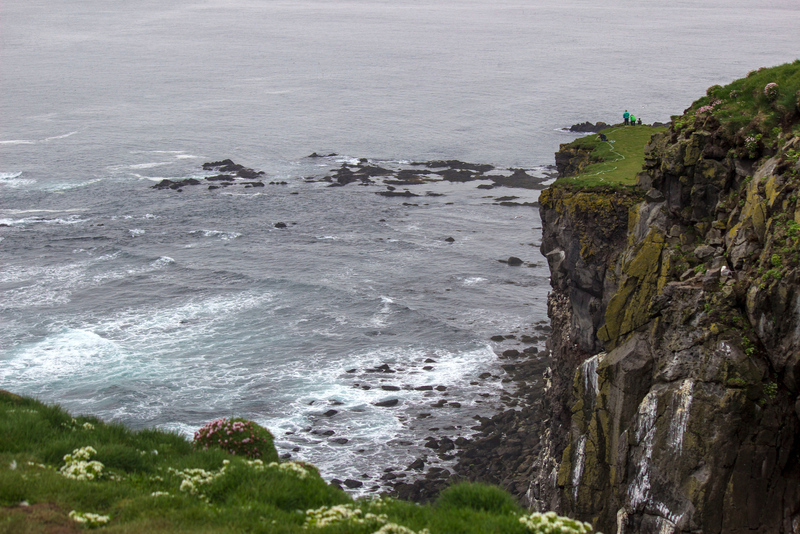 Beyond the adorable puffins, the Latrabjarg cliffs are astonishingly beautiful. These are gigantic, extremely steep cliffs that are 14km long and 440 metres high. 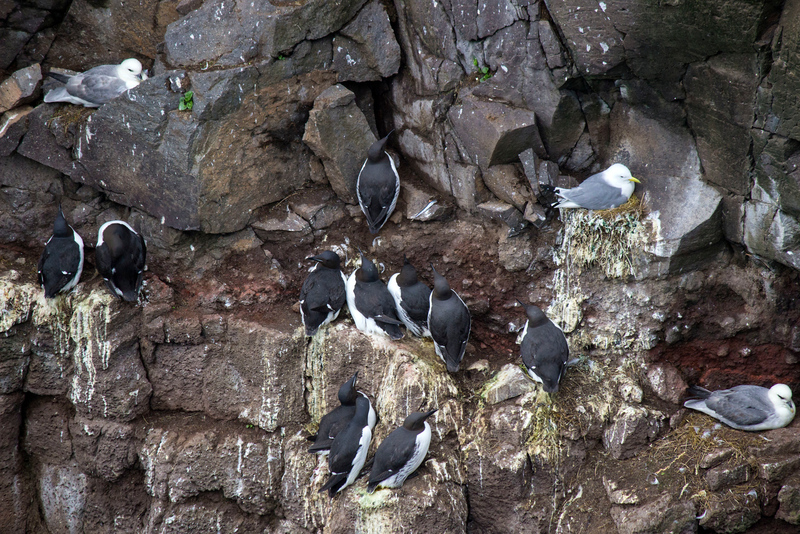 Besides puffins, there are millions and millions of other nesting birds at Latrabjarg. 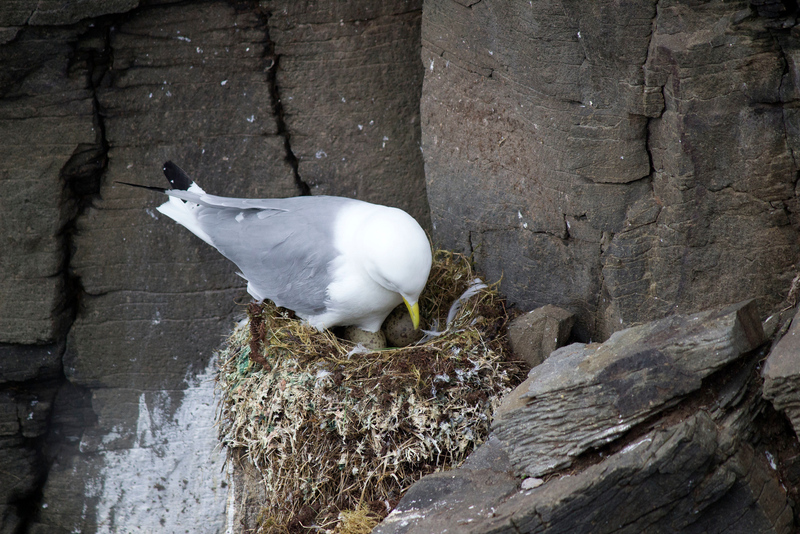 You can see razorbills, arctic terns, white-tailed eagles, guillemots, gannets, and others. You can hike along the cliffs to appreciate the epic scenery. All you can hear are the sounds of birds all around, echoing off the rocks. 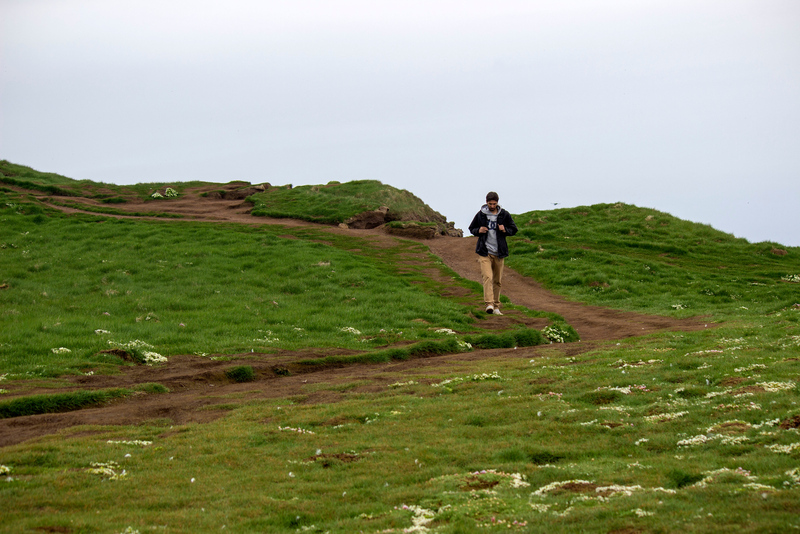 We hiked a little ways from the Bjargtangar parking lot through the grass and near the cliffs. 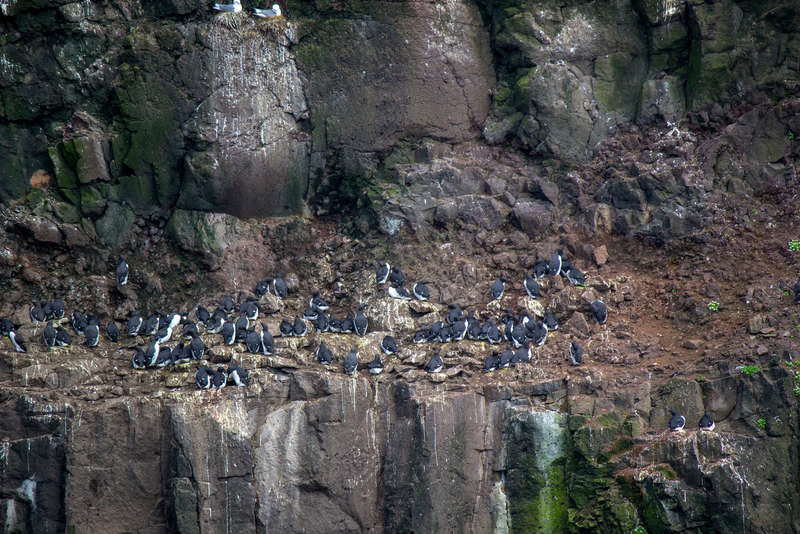 We saw many other birds besides puffins, huddled into their homes in the rocks. Justin and I even saw some birds sitting on eggs in their nests. It was fascinating to see so many birds living in their natural habitats, wild and free as nature intended. 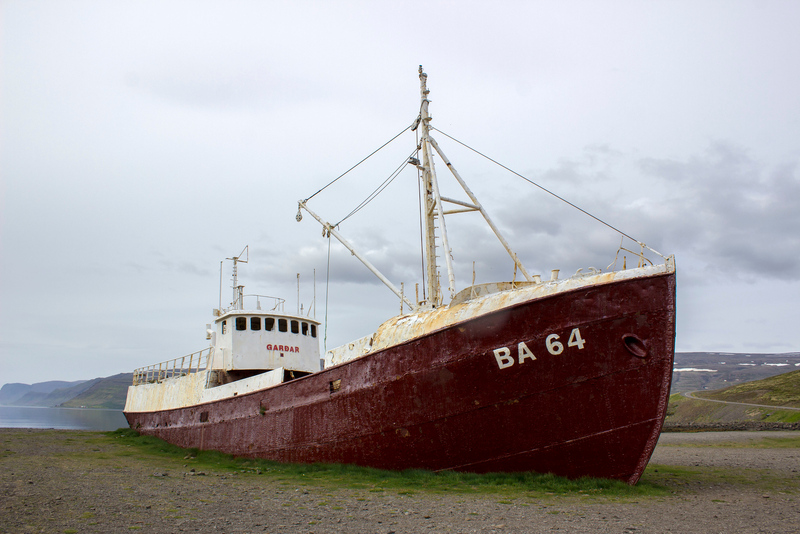 Would you like to see more photos from the Westfjords of Iceland? 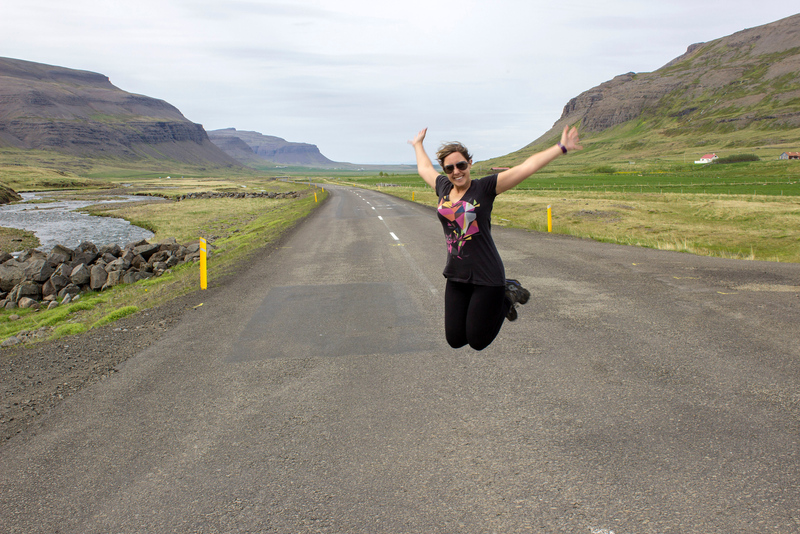 Click here to see our travel photography from the Westfjords! You can also purchase housewares, canvas prints, and all kinds of other goodies from any of our pictures directly at our Smugmug shop. 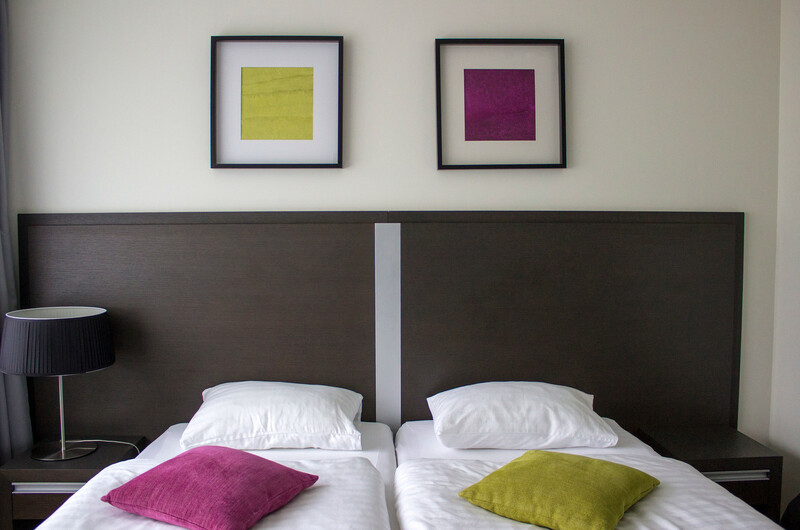 Naturally, after driving for eight hours, you’ll want to find a cozy and comfortable hotel to rest your head. We stayed at the Fosshotel Westfjords in Patreksfjörður. 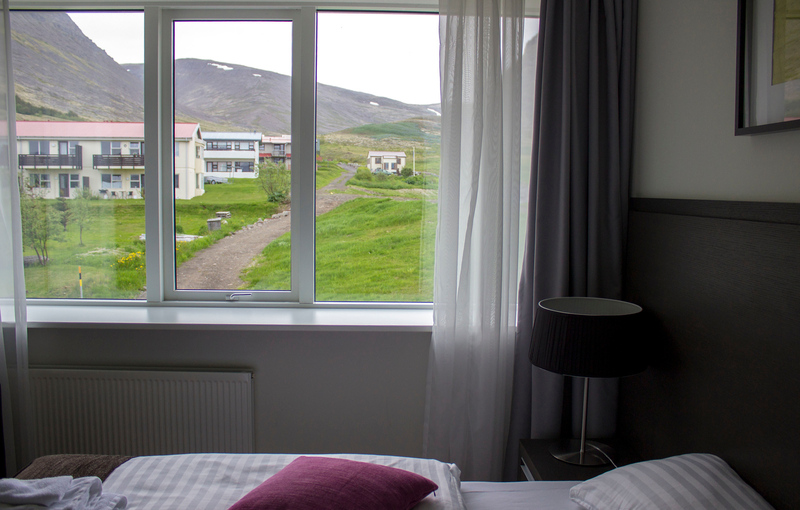 The Fosshotel Westfjords is a modern and spacious hotel in a small town. Our room was a quiet retreat to get an excellent night’s sleep. There’s a restaurant on site, but it’s also near the main town with other dining spots. 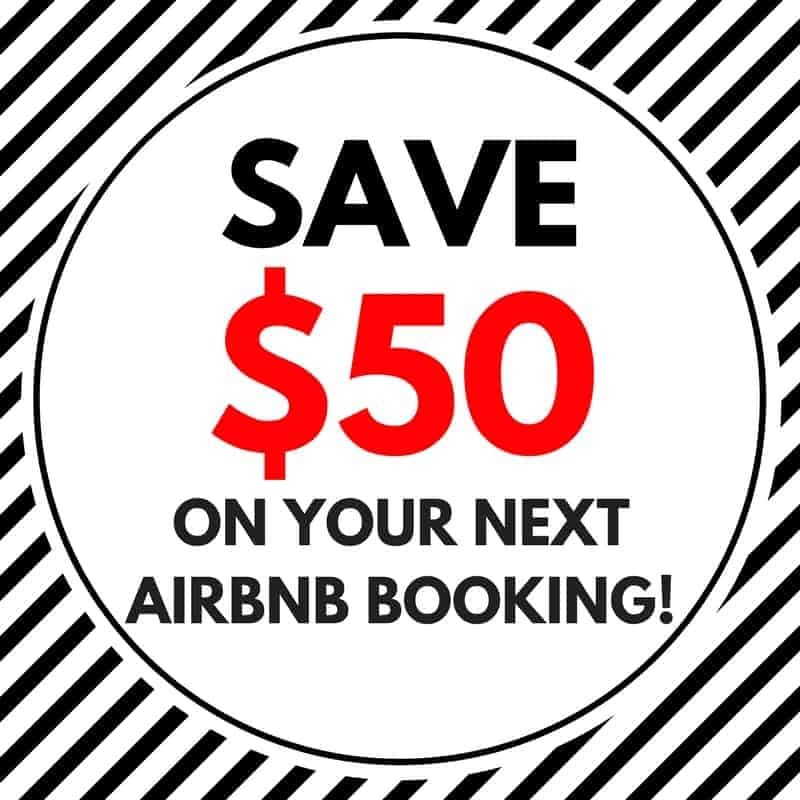 We highly recommend staying here on your adventures to the Westfjords. 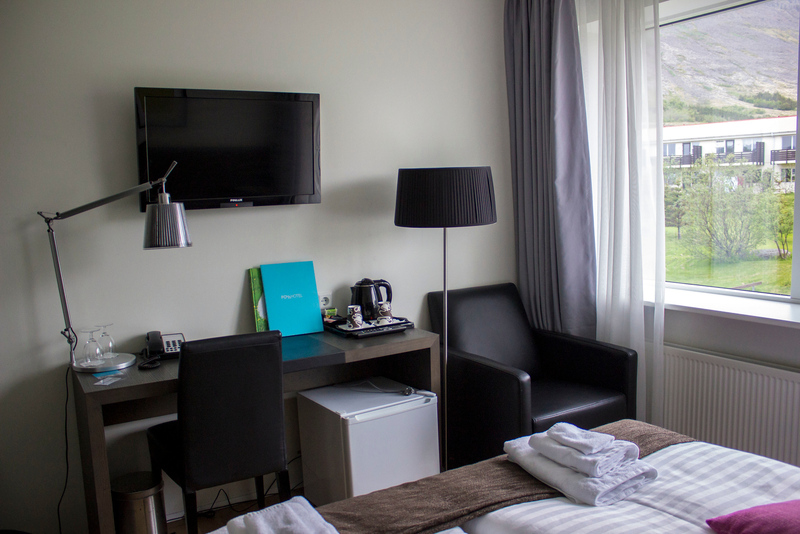 Book your stay at the Fosshotel Westfjords or click here to check out reviews by other travellers. 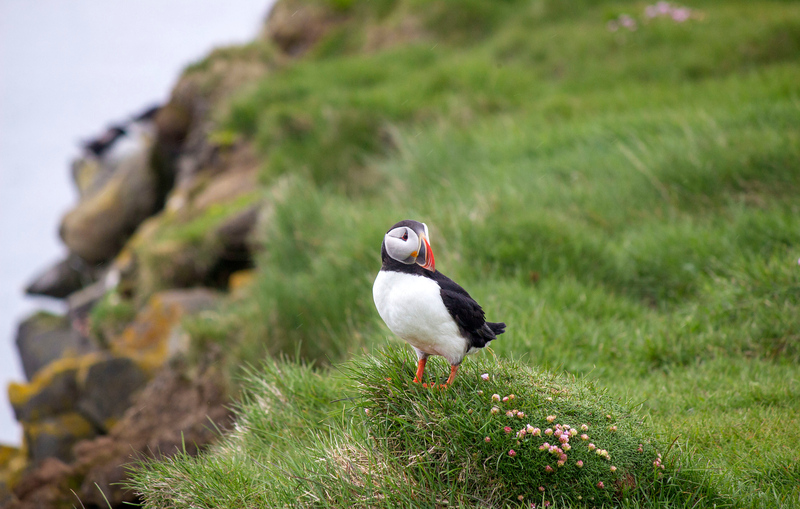 Have you ever seen puffins in the wild and where? 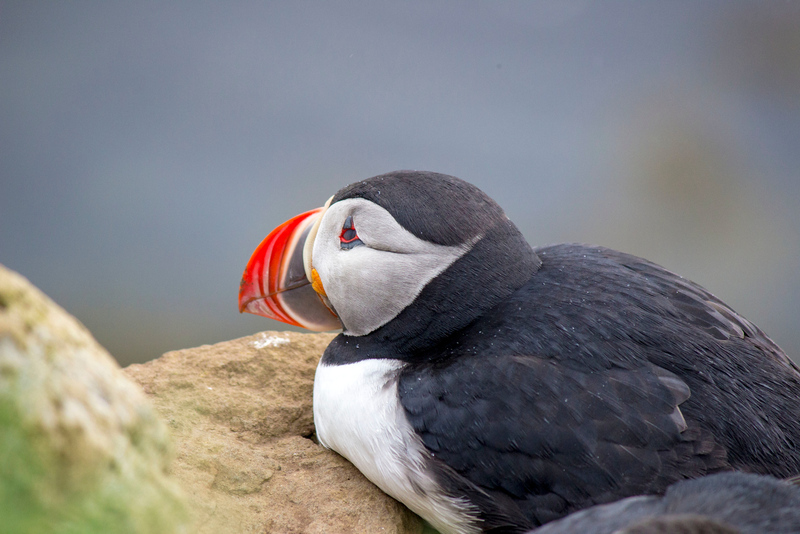 I’ve often thought that puffins look unreal – almost like they are painted into the photos. Fantastic shots and stunning scenery! I’d love to get to Iceland someday.